Your Forest Air air conditioning technician will perform a comprehensive multi-point precision tune-up and professional cleaning of your air conditioning system that normally takes only an hour to complete. 1. Inspect and clean Condenser Coil. Upon completion, your service technician will present an AC Tune-Up Checklist and share any recommendations and potential concerns about your air conditioning system. 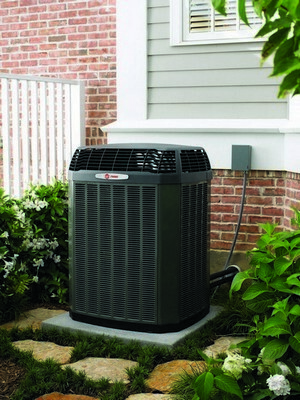 If based on our recommendations you decide to purchase a brand new system from Forest Air, the cost of your tune-up can be put towards the cost of your new air conditioning system. The Forest Air Multi-Point Precision Tune-Up only takes about 60 minutes and is extremely affordable. You simply can’t put a price on the piece of mind that having reliable air conditioning performance all summer long gives you! HVAC is an expensive investment, it only makes sense to do everything you can to make sure it runs as well as it can for as long as it can. Contact us on the web or by phone at (985) 651-5968 to schedule your Forest Air Multi-Point Precision Tune-Up.